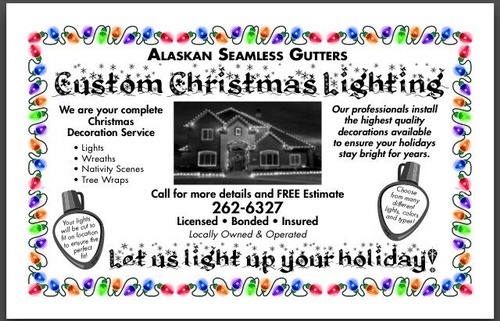 Professional Seamless Gutter service on the Kenai Peninsula, plus Christmas lights and decorating, and snow removal and sanding! If you're thinking of having gutters installed or repaired, you've come to the right place. Having a proper gutter system installed on your home or business is essential for routing rain and roof runoff away from your home. 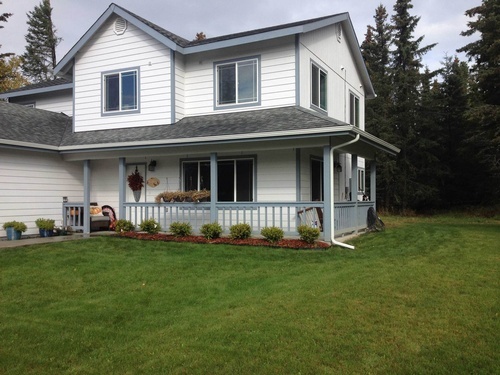 It shields doors and windows and protects siding from water infiltration and damage. We install, repair, clean and help maintain gutter systems on commercial and residential properties throughout southeast and south central Alaska. 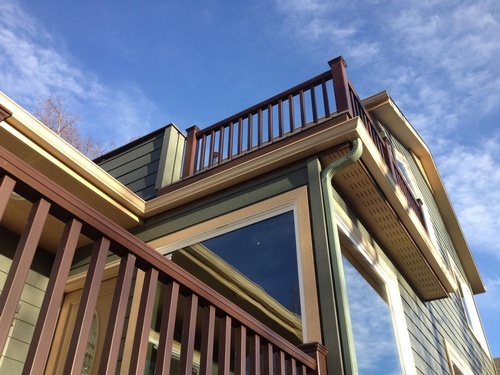 Our gutter systems are available in aluminum, steel or copper, with a 10-year warranty on workmanship and a Lifetime Guarantee on the material. We are fully licensed, bonded, and insured, providing quick and reliable gutter services. 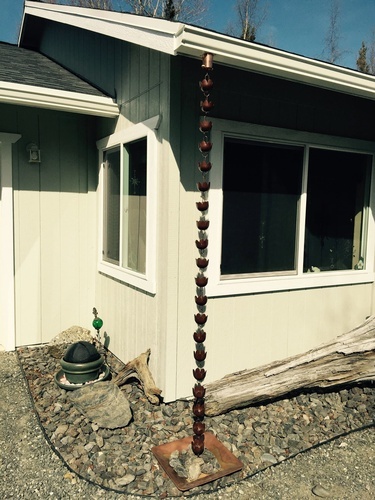 We also offer snow stops, rain chains and Christmas light installation.